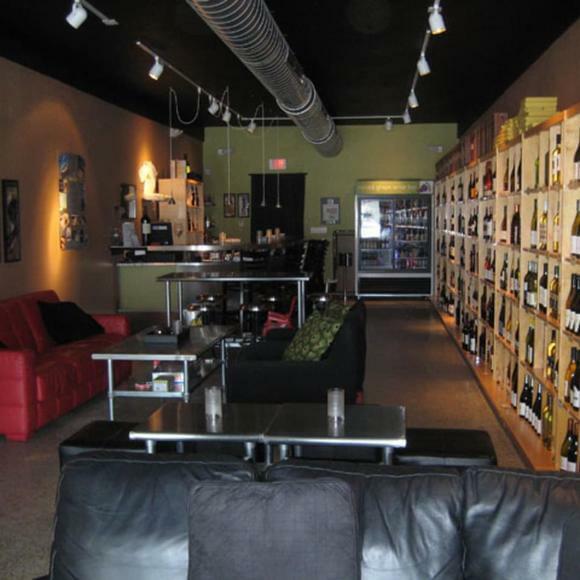 Perch atop a comfy couch in this relaxed location with an evolving selection of wines. Great wine, food and cheese selection. Get the mozzarella made homemade table side! They moved about a block north from their old location. I like their new location - in the middle of Wilton Manors with a small but nice outside patio. The interior is trendy (plenty of stainless steel) but still relaxed. Almost too dark, but the small flashlight they gave me to read the menu was cute. Tapas were small but tasty. A good selection of wines and knowledgeable staff. I enjoyed going here as a pre-bar before going to The Manor or Matty's. I love to visit this place. Since the very first time I have visited Wilton Manors, I chose this wine bas as my preferred place. I tried nice, great wines and I knew real people. Special selection of wines is provided by the very mindful team. Congratulations for this excellent spot in Fort Lauderdale. My next time, I will stop there again. LOVE this place! If I lived in the Ft. Lauderdale area I would be at the Naked Grape all the time. Everything about this place is cool, from the decor, done in soothing colors with soft lighting, glowing candles, perfect jazz/new age type music playing and great wine. I was in Ft. Lauderdale for a long weekend, I went to the Naked Grape on my first day there, a Friday, and liked it so much I went back the next night again. Both nights I enjoyed chatting with interesting people in my seat at the bar. They have a small plates menu where they feature different cheeses and serve you a plate with cheese, olives. berries and crackers while you sip your wine. If you are a wine lover like me this place is a must! I can't wait to go back. Love this place. The staff are welcoming and very knowledgeable about wines and beers. Great snacks, comfortable couches, hot guys. What more could you ask for.